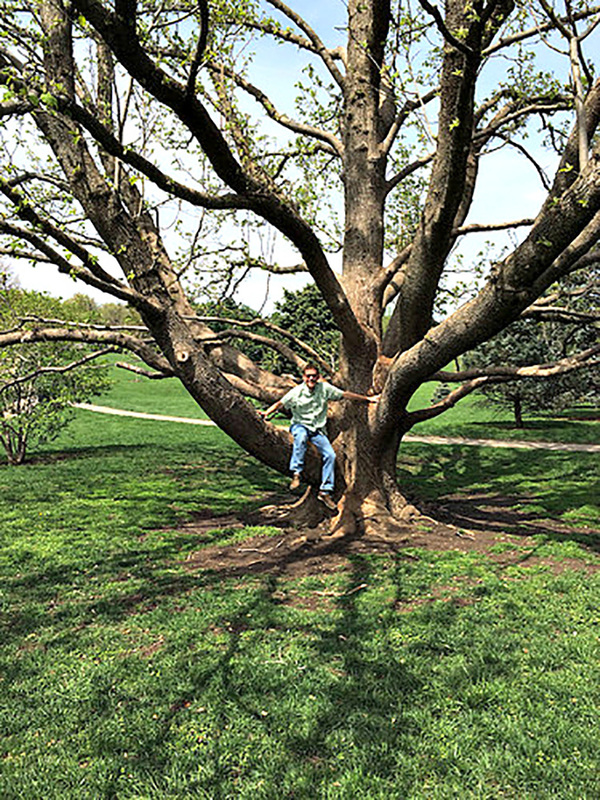 Roanoke Park, May 22: Roanoke Park is the site of Greater Kansas City’s champion persimmon tree with many other champion trees in nearby neighborhoods. Union Cemetery, June 26: Union Cemetery has premier examples of old growth native white oaks. Its champion trees include Kentucky coffeetree, hackberry and sassafras. The site dates back to 1849 and is an unexpected green space of spectacular trees against the backdrop of high-rise buildings. This walk requires the least amount of walking of the four tree walks. Elmwood Cemetery, August 28: Listed on the National Register of Historic Places, Elmwood Cemetery’s beautiful grounds were designed by renowned landscape architect George Kessler, who created Kansas City’s famed Park and Boulevard System. The cemetery is home to the area’s champion saucer magnolia, cucumbertree magnolia and southern catalpa trees, as well as an amazing collection of mature trees set among historic graves. Loose Park, October 23: The Jacob L. Loose Park has more champion trees than any location in Kansas City. That’s because the park’s Stanley R. McLane Arboretum contains the finest diversity of trees in the metropolitan area. From lindens to limber pine, sweetgum to several oak species, various maples and even possumhaw, participants will enjoy this classic park’s tree treasures at their peak of fall color. The fee for each tour is $7/person and free for members of Powell Gardens, Kansas City’s botanical garden. (Learn more about the perks of becoming a Friend of Powell Gardens.) Registration is required as space is limited. Call 816-697-2600 x209 to reserve a spot.